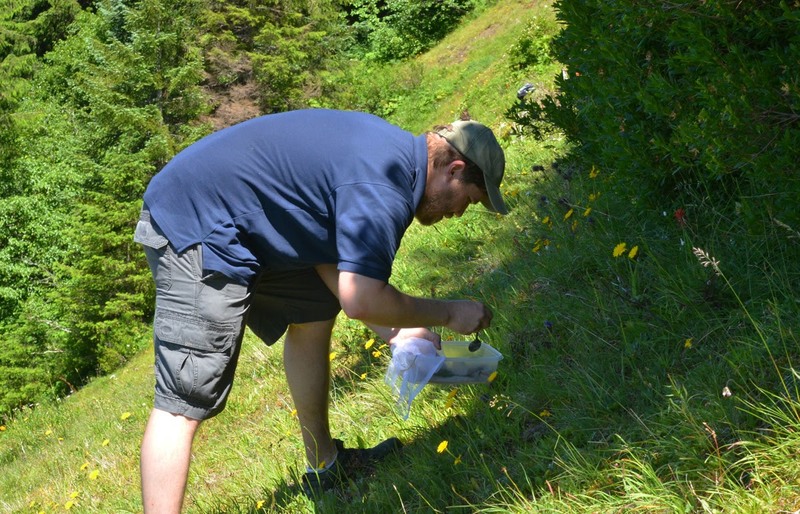 Woodland Park Zoo is part of a team that released 500 Oregon silverspot butterfly caterpillars last week on the slopes of Saddle Mountain located in Oregon. More than 200 of the released caterpillars were raised this summer at the zoo’s butterfly conservation lab. 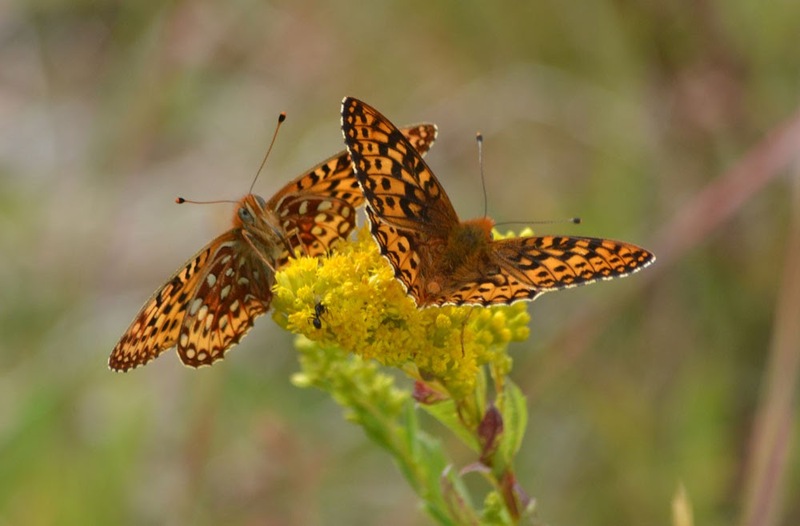 The reintroduction to the habitat is part of a collaborative, ongoing effort to stabilize the declining population of Oregon silverspot butterflies. 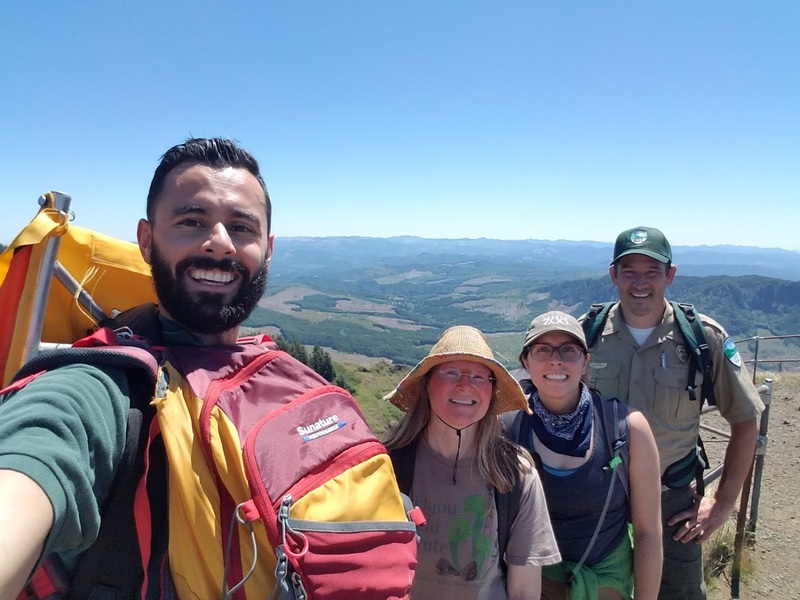 Other team members joining the caterpillar release were Oregon Parks and Recreation Department (OPRD), U.S. 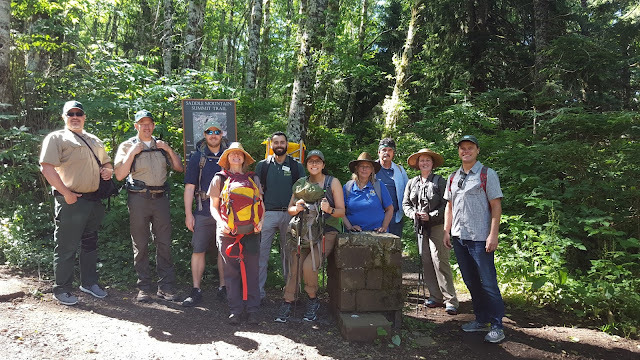 Fish and Wildlife Service and Oregon Zoo. 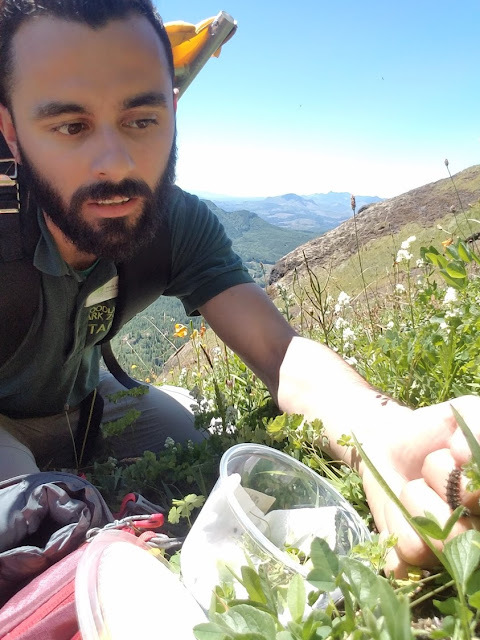 The caterpillars began their journey to the mountain as part of the imperiled species programs at Woodland Park Zoo and Oregon Zoo. Each year, a small number of female Oregon silverspot butterflies are collected from wild populations and brought to zoo conservation labs to lay eggs. The hatched larvae spend the winter asleep in the lab. In the early summer they are woken up and fed early blue violet leaves, which are grown by the zoo's horticulture department. 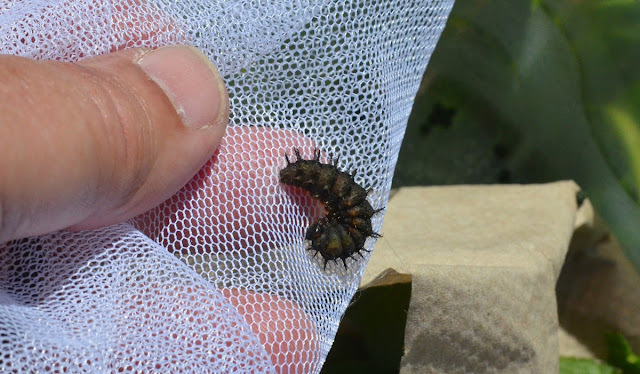 Once the larvae have reached a certain size they are ready to be transported to Oregon where they are released into the wild. Hatched larvae are released into the wild when they've matured into caterpillars. Photo by Mike Patterson. The Oregon silverspot butterfly (Speyeria zerene hippolyta) was federally listed as threatened in 1980, and population numbers have declined continuously over the last three decades. It once lived in Washington but has since been wiped out in the state, and today, just four isolated populations remain: three in Oregon and one in California. 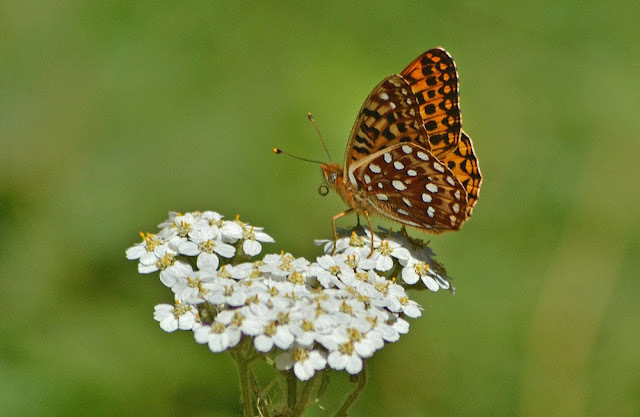 To survive, the Oregon silverspot butterfly needs early blue violets, a low-growing native wildflower. Silverspots lay their eggs near violet plants, and growing caterpillars rely on the violets as their sole source of food as they mature into adult butterflies. 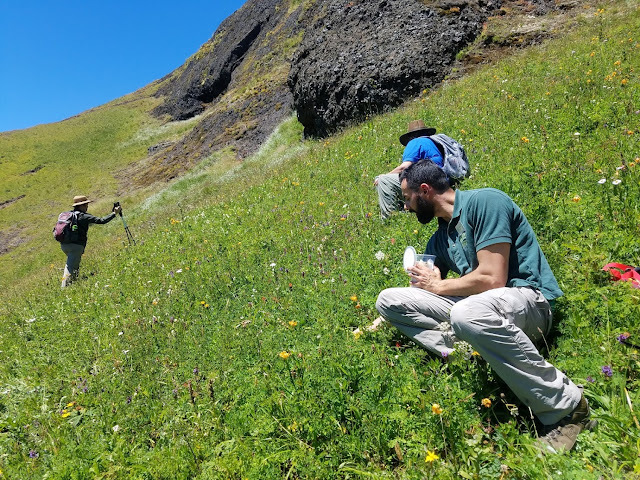 But now early blue violets are disappearing from their native coastal landscapes where they are being choked out by invasive weeds—such as scotch broom—and forest succession. 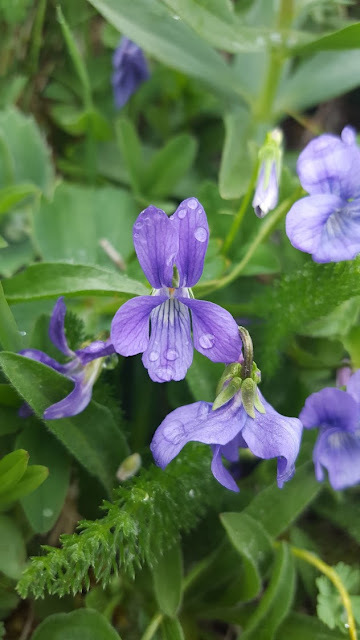 Early blue violets. Silverspot caterpillars rely on this wildflower, which is disappearing due to human development, as a primary food source. Photo by Trevor Taylor. Saddle Mountain was chosen as the reintroduction site for these caterpillars because the delicate violets bloom in abundance there. Releasing caterpillars into the perfect habitat on Saddle Mountain in Oregon. Photo by Michael Cash/Woodland Park Zoo. 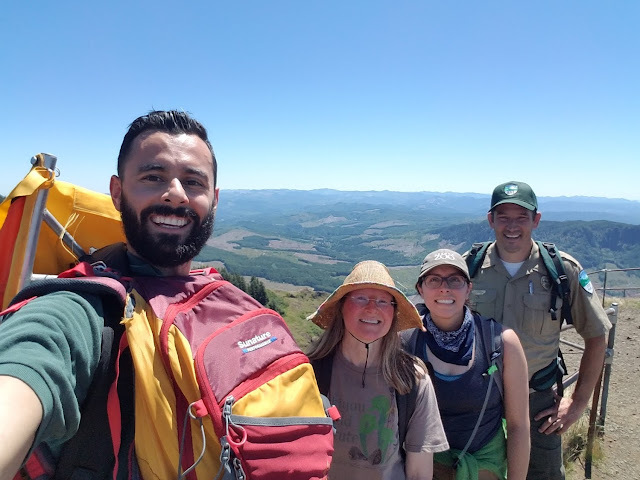 “Saddle Mountain is like the hot real estate market in Seattle—it’s prime land for Oregon silverspots. We have carefully nurtured these fragile caterpillars in our lab and our hope is that they will thrive, successfully reproduce and become the start of a robust butterfly population at this new release site,” said Erin Sullivan, an animal care manager at Woodland Park Zoo who oversees the silverspot recovery project at the zoo. This pristine Oregon habitat has what these caterpillars need to survive. Photo by Michael Cash/Woodland Park Zoo. Funding for the reintroduction project was provided by the U.S. Fish and Wildlife Service Cooperative Endangered Species Conservation Fund and Woodland Park Zoo. 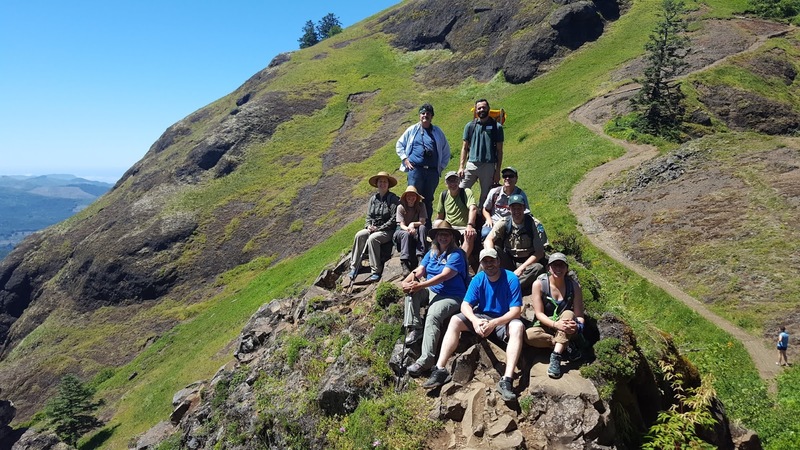 The butterfly recovery project is a part of Woodland Park Zoo’s Living Northwest conservation programs that focus on native species restoration, habitat protection, wildlife education and human-wildlife conflict mitigation across the Pacific Northwest. Good job, team! Photo by Trevor Taylor. In 2012, Woodland Park Zoo and Oregon Zoo earned the Association of Zoos & Aquariums’ Significant Achievement Award for the Oregon Silverspot Captive Rearing Program. These gorgeous creatures motivate us all to keep our landscapes healthy, green and pollinator-perfect.